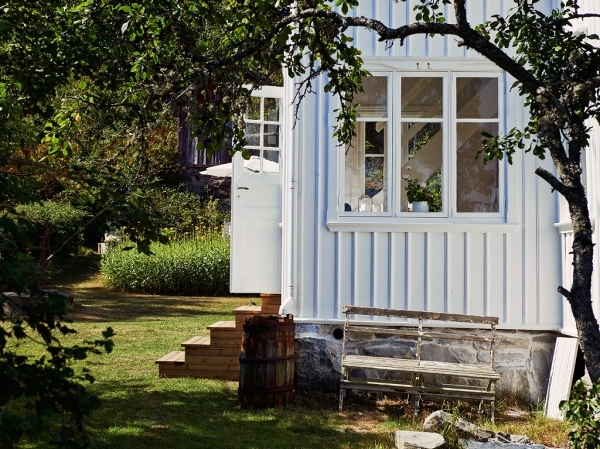 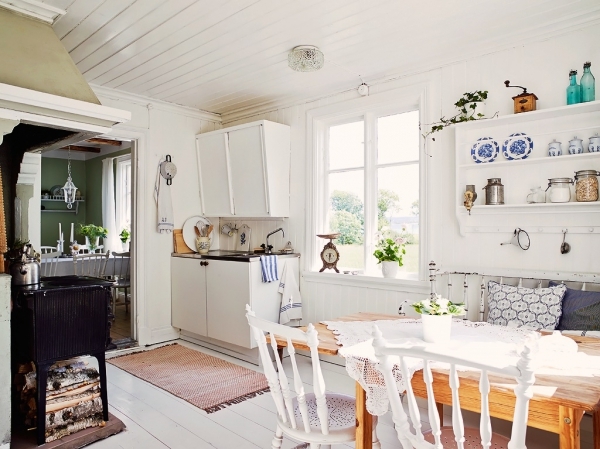 One glance at this lovely cottage and you can see its picture perfect charm without even stepping foot inside. 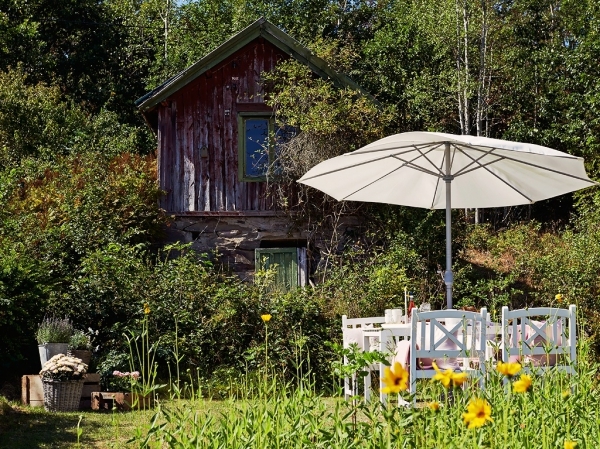 Set in its own garden, behind a picket fence the house of 60 square meters (650 sqf) has that rustic appeal that many people love. 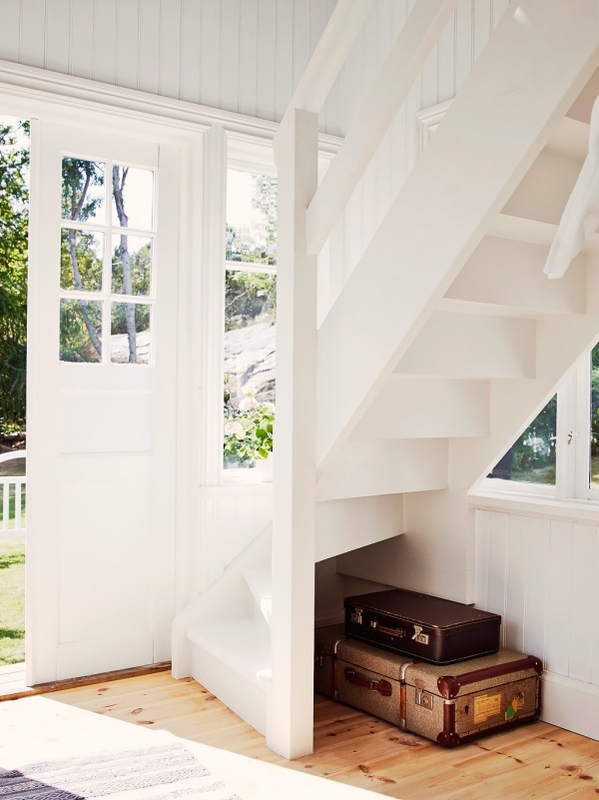 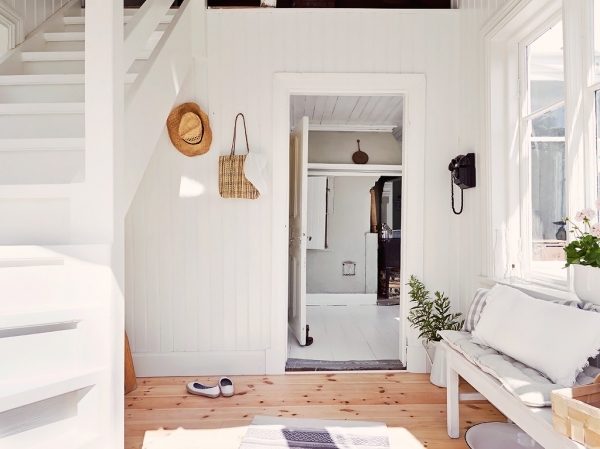 On entering the house you will find a sunny, bright hallway, a place to take off your shoes and hang up your coat. 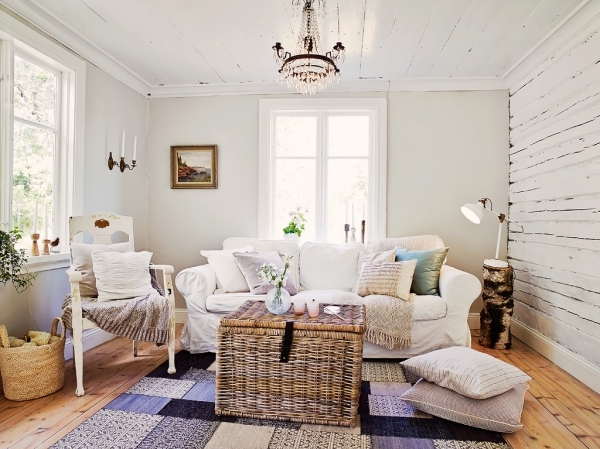 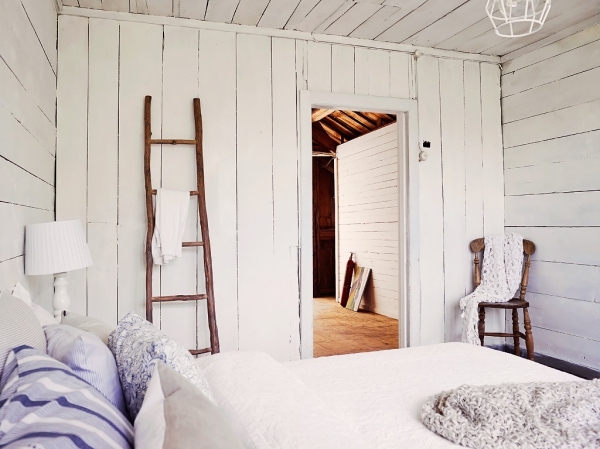 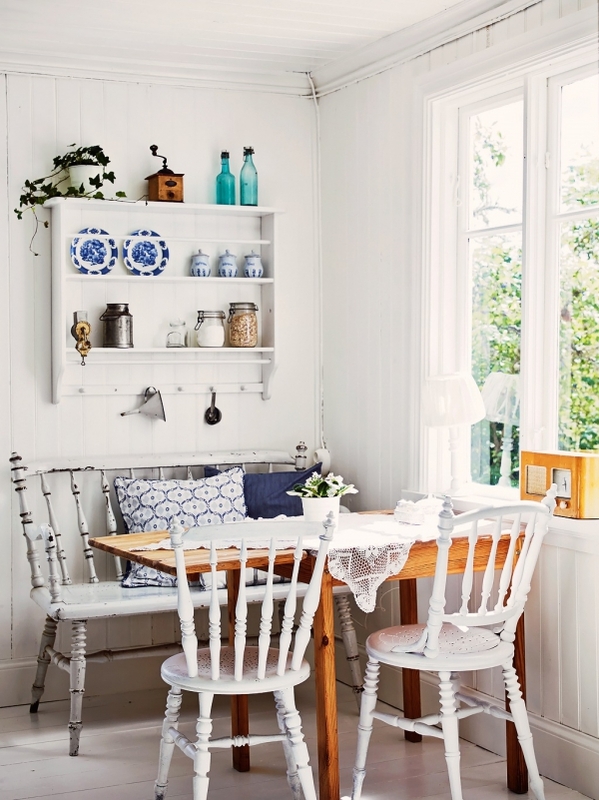 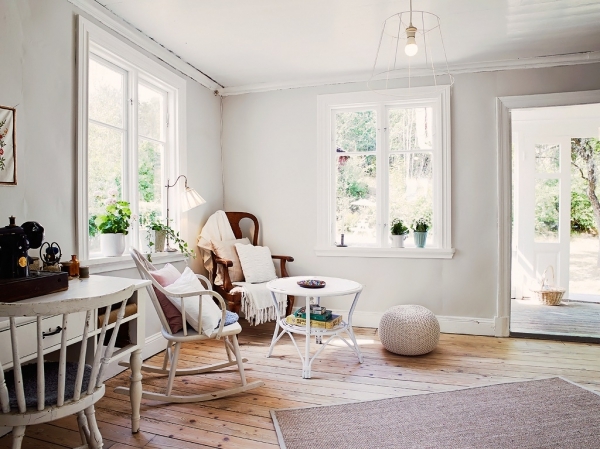 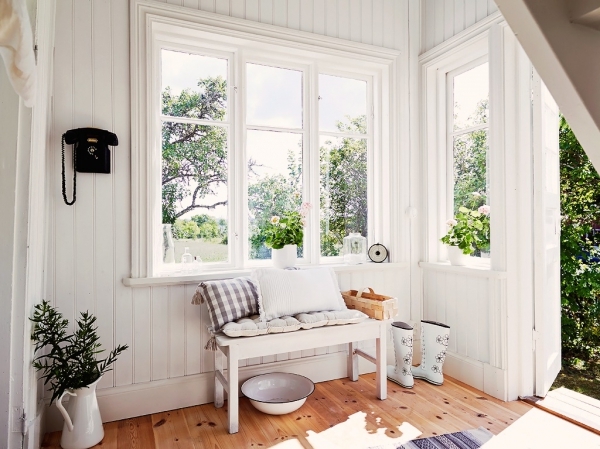 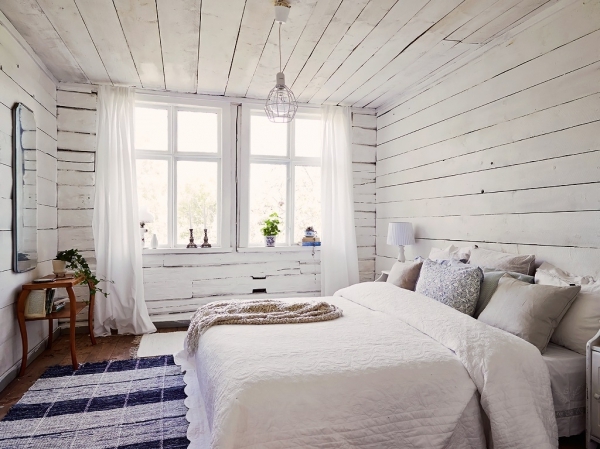 White walls, high ceilings and wooden floors make the lovely cottage bright and airy even on a dull day. 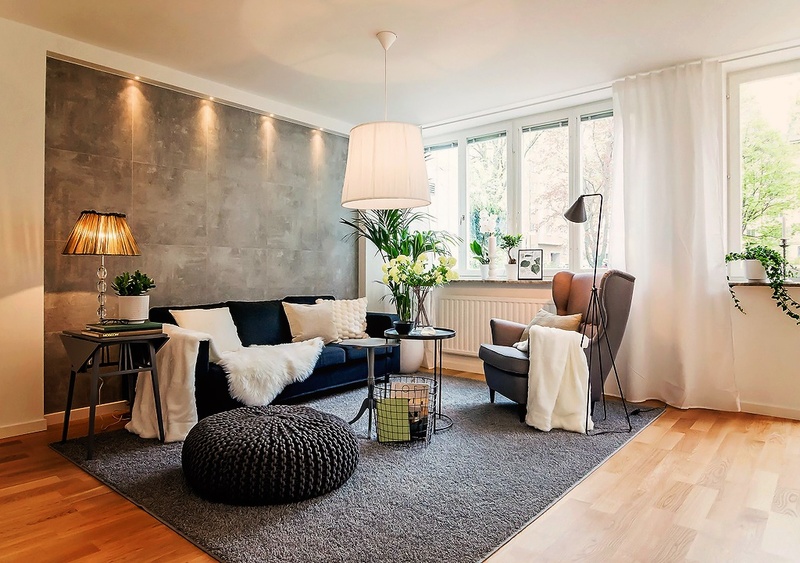 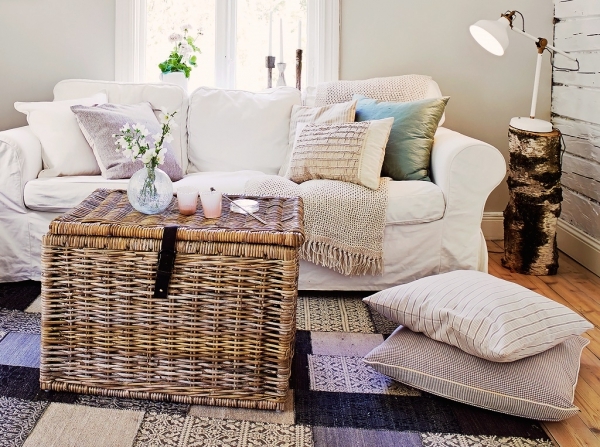 The living room is simple and decorated pleasantly with items made from natural materials such as wicker, there’s even a re-purposed tree stump that forms a great place for a table lamp. 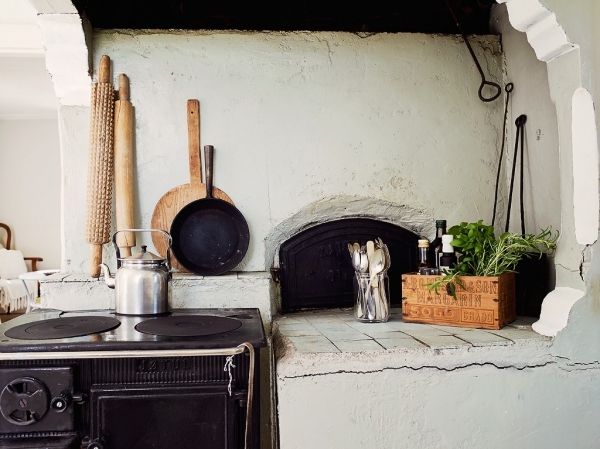 The kitchen has country charm, there’s a wood burning stove, original bread oven and a pretty pine farmhouse table that is perfect for a family breakfast. 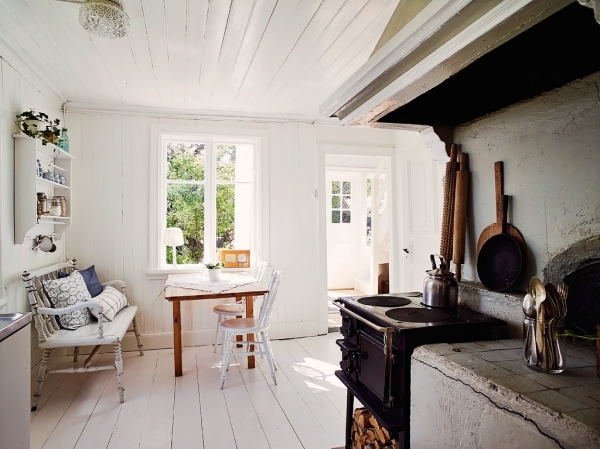 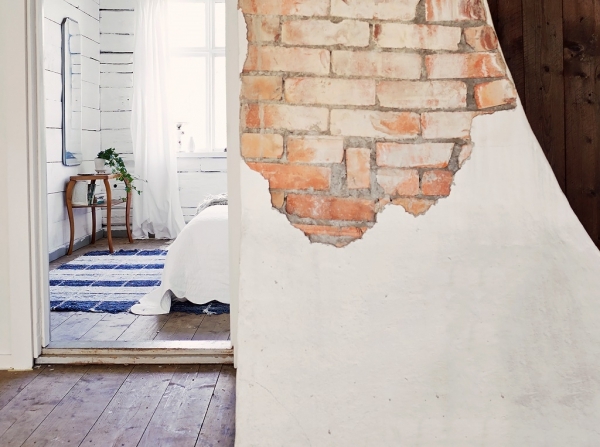 Natural materials are everywhere in this lovely cottage, but there are also some signs of modern living. 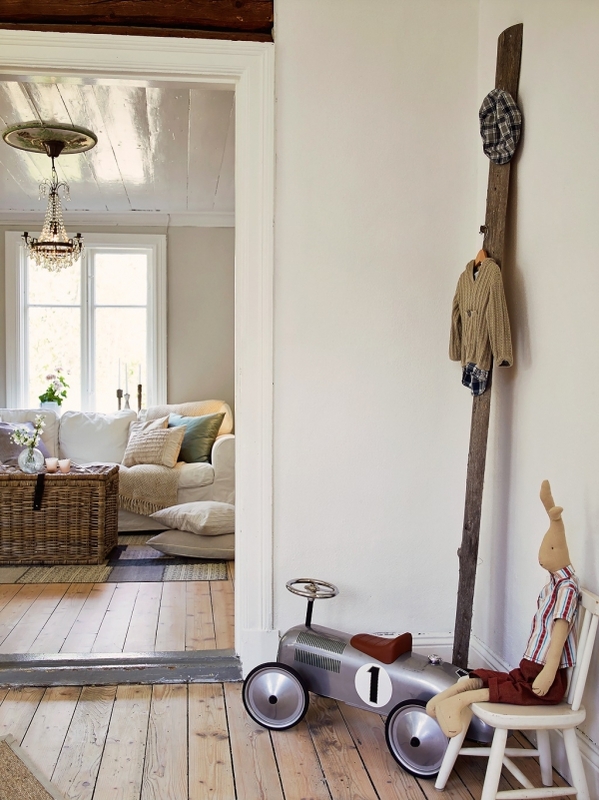 Small but ornate chandeliers hang in some of the rooms do not look out of place near the retro toys that have been used as decoration. 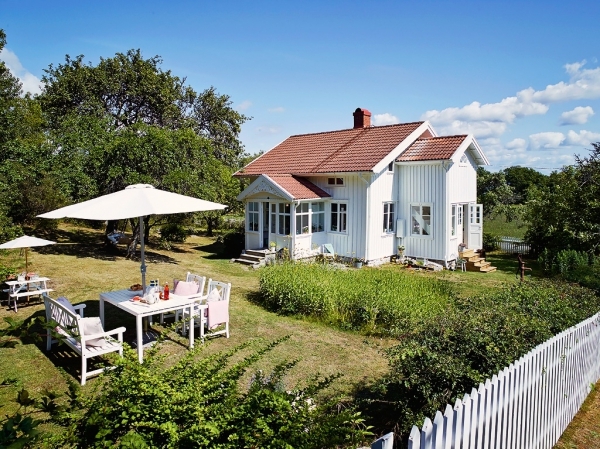 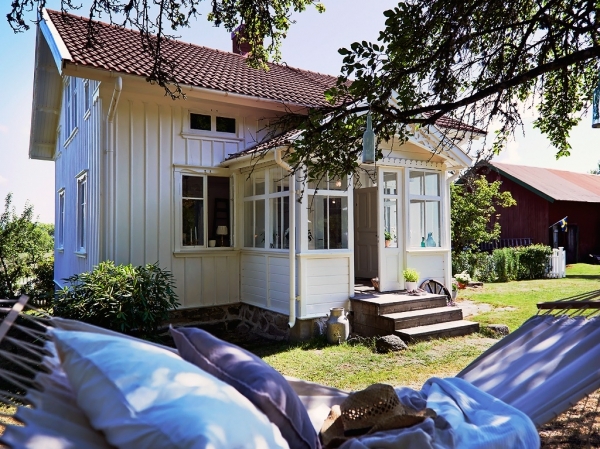 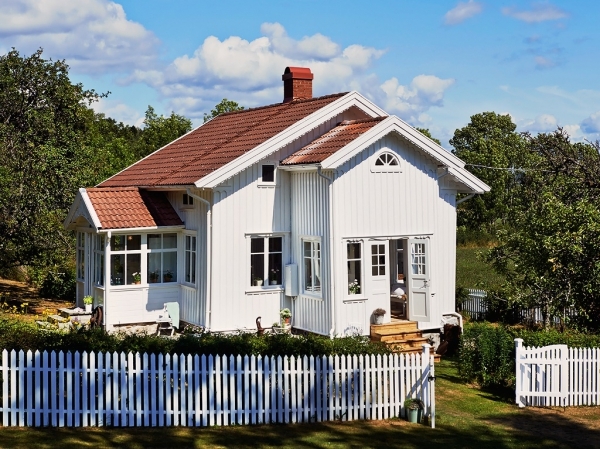 This lovely cottage seems to be the ideal country home, a house to cherish, relax in and enjoy.